Don’t you just love when you find a toy that works on a ton of different skills? 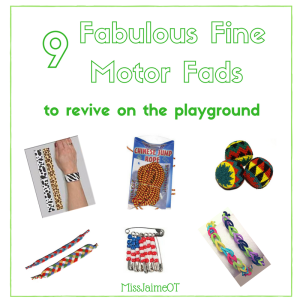 As a pediatric OT, these kinds of toys are my absolute favorite! 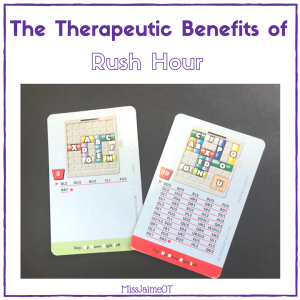 One of my very favorite OT therapy toys is called the Rush Hour game. It’s small so it fits right in my therapy bag. Plus, it works on so many different skills! 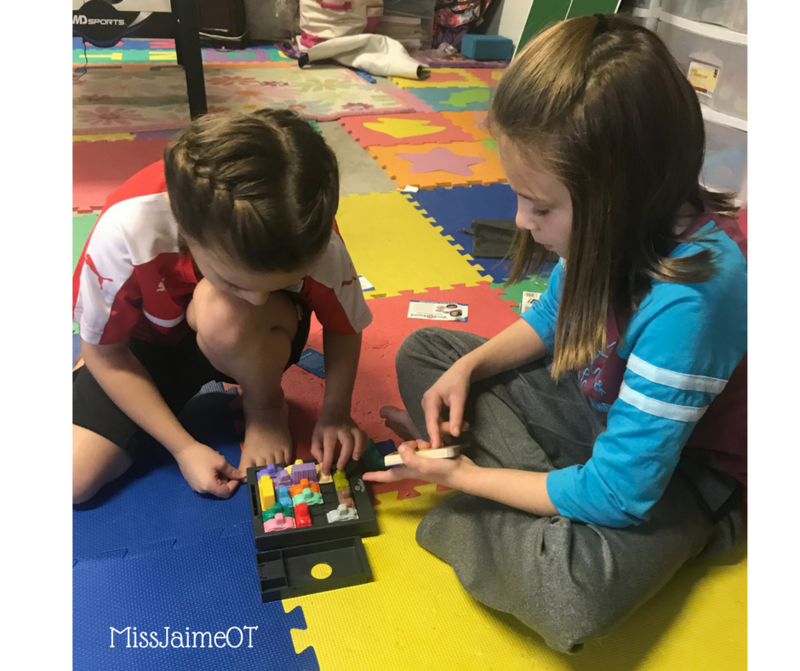 Occupational Therapists, Speech and Language Therapists, and Educators can all use Rush Hour to work on their students’ goals. The game comes in different levels with cards ranging from beginner, junior, intermediate, advanced, to expert. The beginner card only has a few trains on it. There are different versions of “Rush Hour” Game. The original version features an Ice Cream truck that needs to get out of the traffic. The harder version is called “Railroad Rush Hour”. Both versions have cards ranging from easy to difficult. Children have to problem solve to get all the trains out of the way of the engine. To begin, the child has to match all the trains to look like the picture card. If the child doesn’t successfully achieve all the above steps, the puzzle doesn’t work! After the child sets that up, they have to problem solve and sequence how to move the different trains out of the way in order to get the engine out of the traffic- hence the name, Rush Hour. 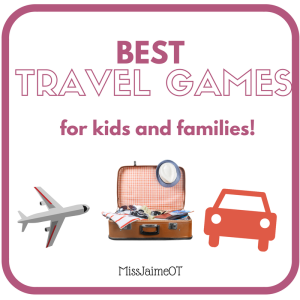 There are so many different skills AND different ways to play Rush Hour. The color-coded cards feature each train or car with its own letter, such as an A, L, or V.
3. Have the child read the directions themselves to try to solve the puzzle. 4. Or you can have the child read the directions to another child, who then has to use their listening skills to follow the directions to get the right car and move it in the right direction. 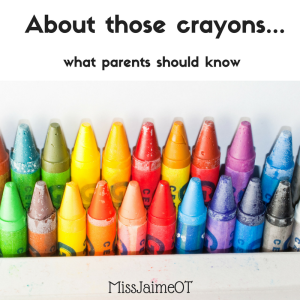 This is a lot of work for both children if you use it that way AND you’re working on a lot of expressive and receptive language skills. All in all this is one of my favorite games. 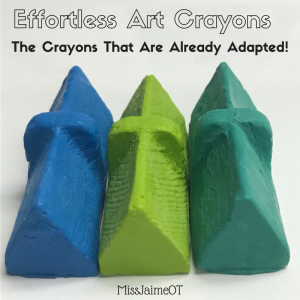 I use it as a reward a lot because the kids don’t even know that I’m targeting so many skills because they think it’s really fun! 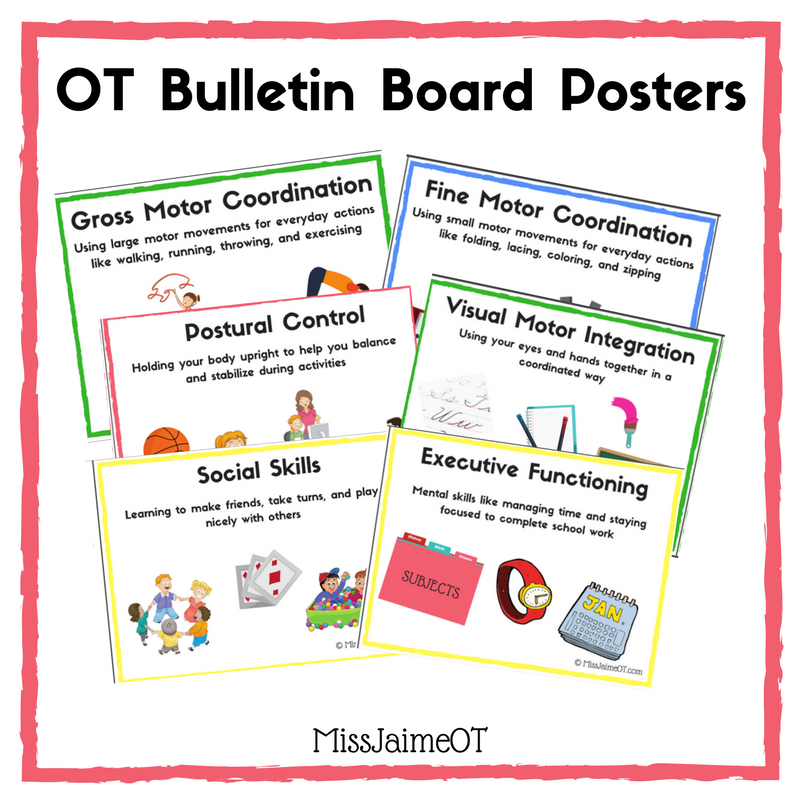 Miss Jaime, O.T.’s favorite Visual Perceptual skills! For new subscribers - Join our email list!